New Delhi: The Maharashtra government has taken action against e-commerce giants Snapdeal, Amazon and Flipkart which were selling medicines online without valid licences, Lok Sabha was informed. “Food and Drug Administration, Maharashtra has taken regulatory action against Snapdeal, Amazon and Flipkart which were found to be selling or distributing medicines to consumers through internet without valid sales bill and requisite licenses,” Health Minister J P Nadda said in a written reply. He said in accordance with provisions of the Drugs and Cosmetics Act, 1940 and Rules, the sale of drugs in the country is regulated by state licencing authorities. “Accordingly, drugs specified in Schedule H, H1 or Schedule X cannot be sold except on and in accordance with the prescription of a registered medical practitioner. “The supply of prescription drugs can be effected only by or under the personal supervision of a registered pharmacist from a licenced premises,” Nadda said. 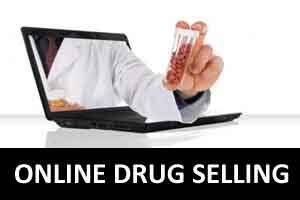 He said a number of representations have been received from chemists and druggist associations against online sale of prescription drugs. “Similarly, a number of representations have also been received to permit such sales,” Nadda said. According to reports, Maharashtra’s FDA had conducted raids at the corporate office of e-commerce giant Snapdeal for selling prescription drugs online in April last year. Nadda said there is no proposal of the government to amend the Drug and Cosmetic Act to enable easy facilitation of business in the drug e-commerce sector. “No such proposal is presently under consideration of the government and online sale of drugs can be permitted only after appropriate mechanism is established to address the risks and concerns related to such sales,” he added.